Top designers and industry influencers take in the sights and sounds of High Point Market – snapping up their favorite Market moments in our Instagram Takeover. Each day, a different set of tastemakers gives us an inside look at their favorite finds, friends, and more. 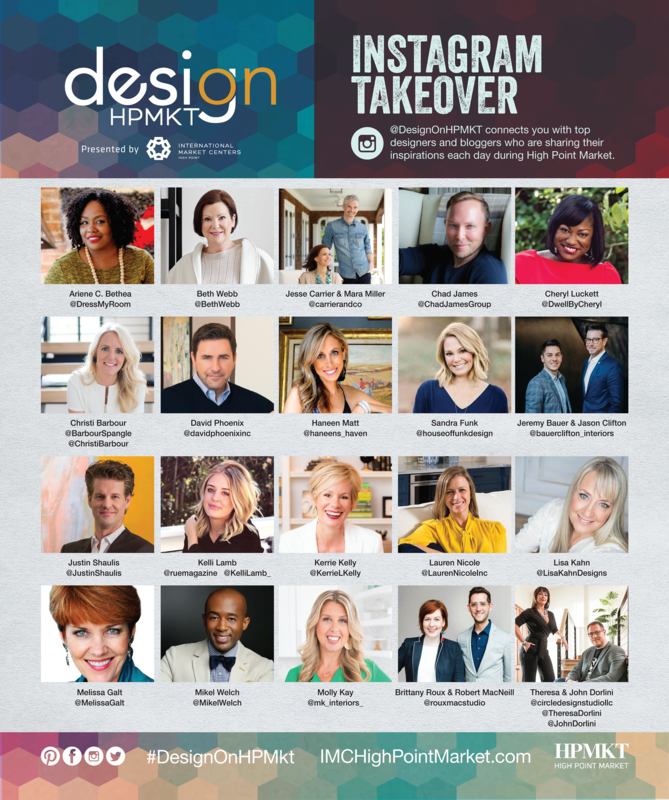 We invite everyone to follow along using @DesignOnHPMkt, #DesignOnHPMkt and #HPMKT during Market to get all of the behind the scenes action from our talented tastemakers!